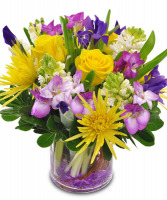 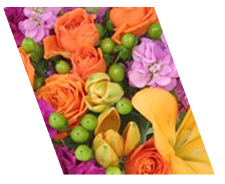 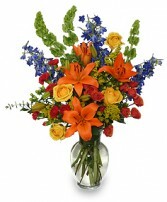 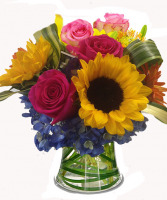 Beautiful assortment of most preferred summer blossoms, artistically designed in a clear glass vase... . Sure to make someone smile! 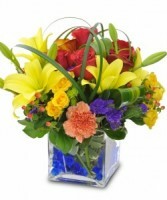 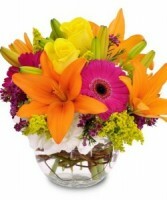 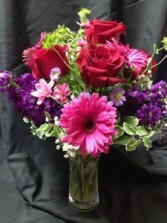 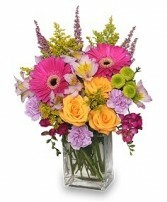 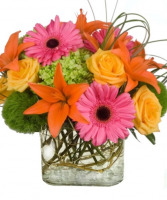 A fresh smallish bouquet of fresh,bright,fragrant flowers with a happy appeal..gerber daisies grn. 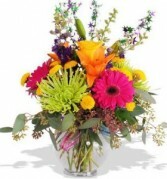 spider mums,stock & colorful fillers.